The Certified in Mortgage Regulatory Compliance (NAMU®-CMRC) is a "professional development" training & certification program ideal for residential mortgage underwriters, processors and compliance specialists on the fast track looking to adhere to mortgage regulations and compliance. 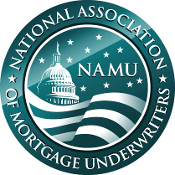 Having the coveted NAMU-CMRC® status exhibits your dedication in keeping up to date with a constantly changing mortgage industry. GROUP DISCOUNT * Select No Thanks. Buy 2. Get 1 For FREE. (+$895.00) Buy 5. Get 2 For FREE. (+$3,580.00) Buy 10. Get 5 For FREE. (+$8,055.00) Buy 25. Get 15 For FREE. (+$21,480.00) Buy 25+. Call For Quote.